It is a fact that flies are attracted to things that are sweet and rotting. The characters in my ongoing series, “Artificial Sweetener”, wear a cartoon-like attitude and candy colored attire, however, behind this artifice lie their hidden vices and disquiet. Set in a B-movie world where deadly flies feed upon those who feel purposeless or detached. 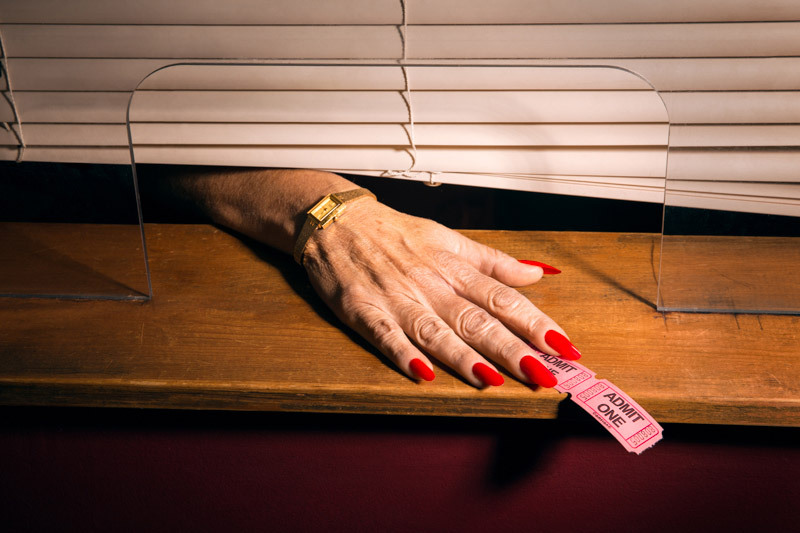 We see these characters rotting away in their monotonous lives; lingering in motels, listening to the dial tone of an unanswered phone call, and performing for an audience who isn’t really there.